Looking for private in-home or in-studio Dance classes? Our Old Westbury teachers are ready to get you started. Find your teacher today! Check out some of our most popular teachers near Old Westbury, NY including New York, Brooklyn, Bronx, Jersey City and Astoria. How to move around like a hungry for space dancer. My teachers used to tell me to Eat Up Space. We will learn how to make our own dances. Vocabulary and Improv, Dynamic, Structure and Form. Finding what it means to write a story or poem with your body's movement, the space it is inhabiting and of course, idea. students can select the style of dance they wish to master and will learn will improve overall balance, choreology, and performance skills. students will also learn terminology and work on flexibility, strength, and muscle control. these lessons are based more on improving ability, not technique. I have and am continuing to study ballet, modern/contemporary, and jazz. I received a BFA in choreography and performance, so I hold the ability to coach as well. Michelle is professional dancer who grew up in Miami, Florida and developed a deep love for movement at a very young age. She graduated with a B.F.A. in Dance (with honors) and a minor in business from the Florida State University. She is a certified personal trainer and specializes in dance cardio, toning, resistance and body weight training, and stretching. Michelle is great! Very helpful, makes you feel at ease, and obviously an awesome dancer. I had to attend a buddy's Wedding. I'm in my fifties and never been a good dancer. When I attended Wedding receptions two to three decades ago, I would manage to get through the dancing, sort of. This time, however, there was no getting around it. I would have to know how to dance because the woman that was accompanying me to the Wedding and reception was a Dance minor in College! I had a month to get it together so I contacted Michelle through Take Lessons. When I attended the Wedding reception with the Dance minor, I was confident and comfortable on the Dance floor thanks to Michelle! You just want to learn how to boogie when the music hits you? Or maybe even feel more comfortable socializing when out and about? I can teach you the skills required to impress your audience and attract the right kind of attention when on the dance floor or just moving with the music. I have been teaching dance for over 15 years, ever since starting dance clubs in high school. I learned I loved teaching and I loved to learn from others. ~To cultivate my students' talents, strengths, and abilities in as little as one training session. ~To raise my students confidence in skills they didn't know they already possessed. ~To open the students mind on ways of thinking about rhythm and movement that can have physical results. I am a hip-hop/house/contemporary dancer with professional/classical training, an academic background, and a passion for taking my students to the next level. I received my degrees in Dance, Psychology and Philosophy, and use these fields as a framework to help direct and assist students in learning how to train their bodies and minds in many different disciplines. I've lived in many cities and always learned each city's dance styles. I can teach: popping, locking, waving, tutting, liquid, sliding, house, footwork, breakdancing, acrobatics, choreography, improvisation, and theatrical. I can help you build your own style. A style that specifically pertains to you. I'll show you how to incorporate concepts, themes, and ideas, to tell a story, or to just express yourself through movement and rhythm. n a persons face after they get something that was tough. I love helping them understand what they could do differently to yield different results. Classes focus on ideas and concepts as well as ways to act them out. We learn how to utilize balance, emotion, finesse, attention, and focus to transition between movements. Exploring performing with character, style, technique, and form to develop their own individual philosophies on movement. We dissect different instruments and rhythms to experience them in different parts of the body. Integrating hip hop, ballet, modern, house, and martial arts into one cohesive style. My goal is to foster artistic growth and to help you surprise yourself! Da-Rell is a very knowledgable and sensitive teacher, who worked with our son who definitely needs this special attention. We are sorry our son doesn't live in Da-Rell's area. Da-Rell and I hit it off right away. In less than a day we already had a dance lesson planned, and we got right to it. Da-Rell has groove and is the number one recommended hip-hop dance trainer from the Take Lessons company. We went over moon walking, sliding / gliding, and other modern hip-hop moves. Da-Rell also helped film the dance moves on camera so I could keep the video as a study guide. Thank you Da-Rell! or you to learn and feel comfortable! I specialize in tap, jazz, ballet, theater, lyrical, and swing dancing. I have been teaching hip hop classes for over 10 years. In my class you will learn the foundations of dance and how to understand musicality in order to translate it into movement. My main objective is to have a fun time with you while we work on your dance moves and your confidence. The class can be customized depending on your goal: learning routines, fitness or dancing in heels. All levels and ages are welcome! I am a professional dancer from Switzerland. I started dancing at the age of 12 and started teaching my first hip hop classes at the age of 18. I have opened showes for R’n’B singers Genuwine, Mario Winans and Rapper Erick Sermon. I have performed in many showes for other choreographers and appeared in different music videos. Teaching private dance classes is the best way to respond to every student’s individual needs and immediately see the results and improvements. I love dance because it gives me a way to express my emotions and it gives me confidence to be in control of my body in a way that only dance can make me feel. Dance also is a way of making music visual which is a wonderful form of art. And of course...it is so much fun! I am a trained educator, and this makes me unique among most people offering dance classes! Many former dance stars go into teaching to make money without any training in HOW to teach. But I am the best of both worlds - high-level training, a professional career under my belt, combined with education in a specific curriculum and teaching techniques. Additionally, I have 10 years of teaching experience. All of this makes me an ideal teacher for adult beginners, or any student who might be getting into dance for the first time, wants to learn dance at a high level, but who also wants to have fun! 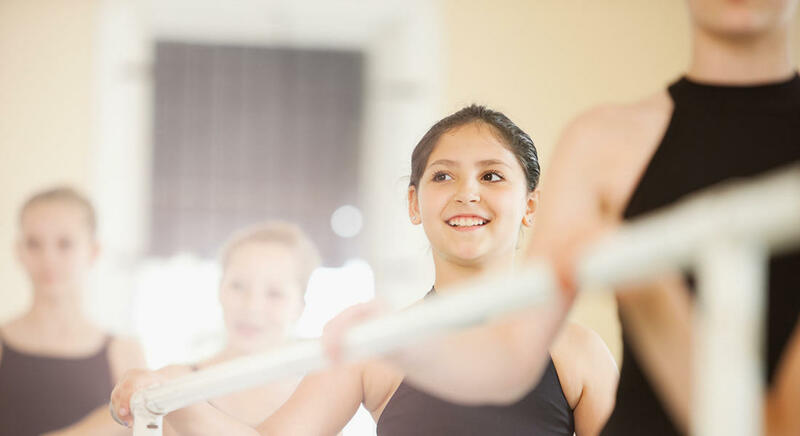 Students in my class can expect a warm-up, skill, strength, and flexibility building exercises, an opportunity to learn choreography, and a cool down, all within the context of a safe, anatomically correct environment. I teach ballet, contemporary, and modern dance and I can't wait to see you in the studio! she completed a choreography mentorship with Doug Varone whereby her choreography was shown at Gibney. Her work has also been presented by Dixon Place, SharedSpace at the Mark Morris Dance Center, the idance festival 2014 in Hong Kong, Fusionworks, Center for Performance Research NYC, Triskelion Arts WAXworks, and at multiple schools in the Northeast United States. Alex has experience as faculty at various organizations such as Brooklyn Arts Exchange, Mercersburg Academy, the Festival Ballet Providence School, Fusionworks Academy, and others. A favorite teaching credit is Chadwick International in Incheon, South Korea, where she created, launched, and managed the dance program from 2012-2015. Alex has also worked administratively for On Stage at Kingsborough, Festival Ballet Providence, and Dance/USA. Alexandra is a wonderful and inspirational teacher. Not only does she create a rich learning environment in her dance classes, she is skilled at scaffolding the information she brings to each exercise. She has a way of challenging and attending to the needs of each student in her classes and possesses a vast knowledge of the dance field. I have been dancing for 20 years, and I am currently dancing professionally in New York City! I have had the privilege to work with some of Broadway's best choreographers, but my real passion lies in teaching. I would love to share the passion and joy dance has brought into my life with others! Can't find a teacher in Old Westbury, NY? "The instructor made it inspite of a major thunderstorm, my child enjoyed the lesson!" e into a new world of performance and dance. Outside of our scheduled lessons, we are loosely collaborating on a creative project - something I thought was years away until I met Gina. She taught me tactical dance fundamentals while also helping me navigate the dance and theater scene in NYC. (with which she is very connected) The best thing for me was her flexibility with the learning process. She encourages everyone to make their own journey, never forcing too much structure but always being reliable. I look forward to continuing this journey. Thank you!" ortable while learning, and had allot of un along the way! Ra is very knowledgeable and I'm excited for my next lesson." New York, NY teacher: Ra R.
's professional, versatile and talented. His name is a reflection of his character. If you have the opportunity to train with Victorious you'll have the pleasure of learning from someone who genuinely cares about your progress and wont let you down." New York, NY teacher: Victorius R.
"Had such a great first class with Sara. I am so excited for more! She is very sweet and enthusiastic!" New York, NY teacher: Sara P.
nage to get through the dancing, sort of. This time, however, there was no getting around it. I would have to know how to dance because the woman that was accompanying me to the Wedding and reception was a Dance minor in College! I had a month to get it together so I contacted Michelle through Take Lessons. New York, NY teacher: Michelle R.
i guarantee you'll will learn and love the work he does & efffort/passion he puts into his work!" "Sasha is a wonderful teacher who is very good at breaking down each dance so that even a very inexperienced student can learn and feel confident."